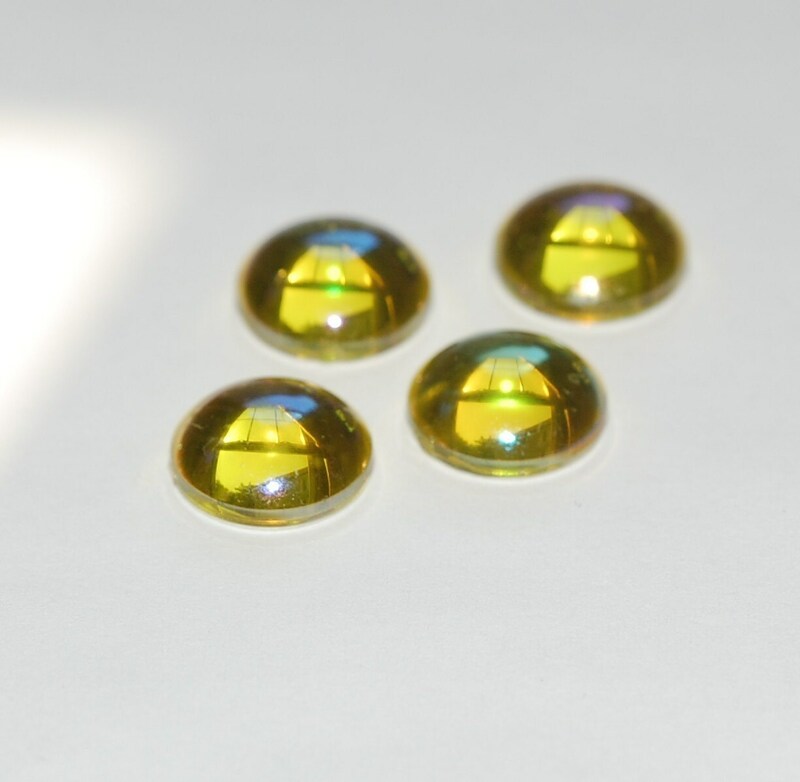 These vintage yellow cabochons were made in West Germany. 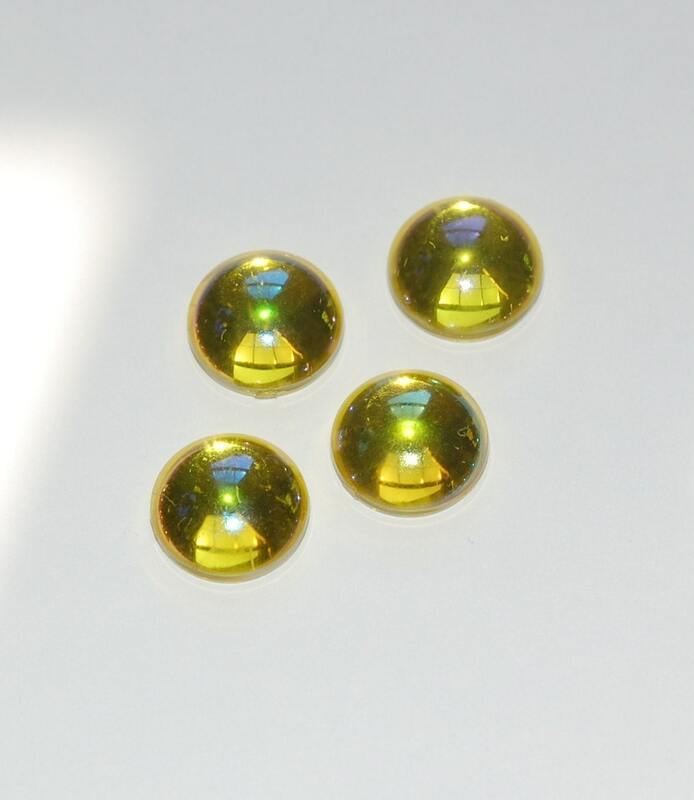 They are plastic with a silver back. These have an AB coating. They measure 13mm. You will receive 4 of these.